As everyone already knows, Autumn is the best time of the year. Not only do you get to crunch crispy leaves, snuggle up in scarves big enough to use as tents and take lots of lovely hot baths, but the makeup is amazing. 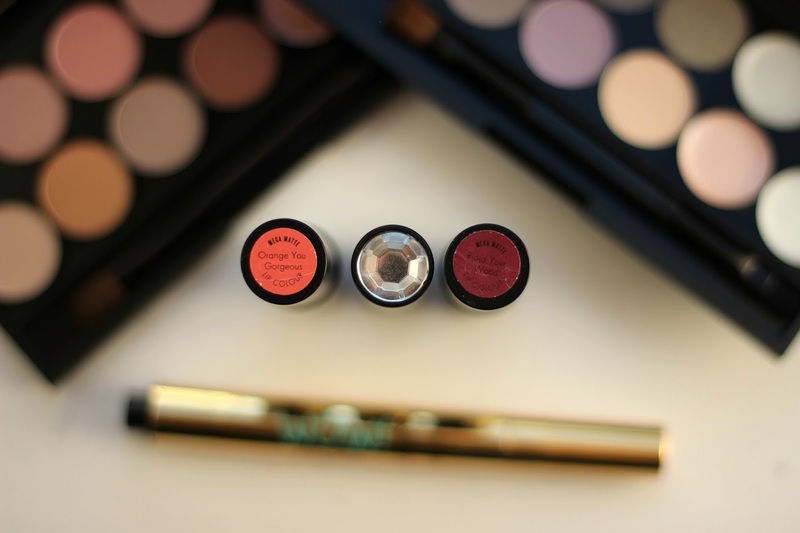 Smoky eyes and berry toned lips are a standard, and I for one love it. When Seventeen very kindly sent me over some of their cosmetics I was over the moon, so I thought I'd share my first impressions with you. Seventeen are one of the two makeup brands owned by Boots, and to me Seventeen is like the younger, cooler version of No. 7 (not that No. 7 is uncool - their skincare is amazing!) I'm a big fan of high street makeup, and I truly believe that these more affordable brands can do anything that high end brands can. For me, Seventeen is a perfect example of that - high performance products for a really affordable price. 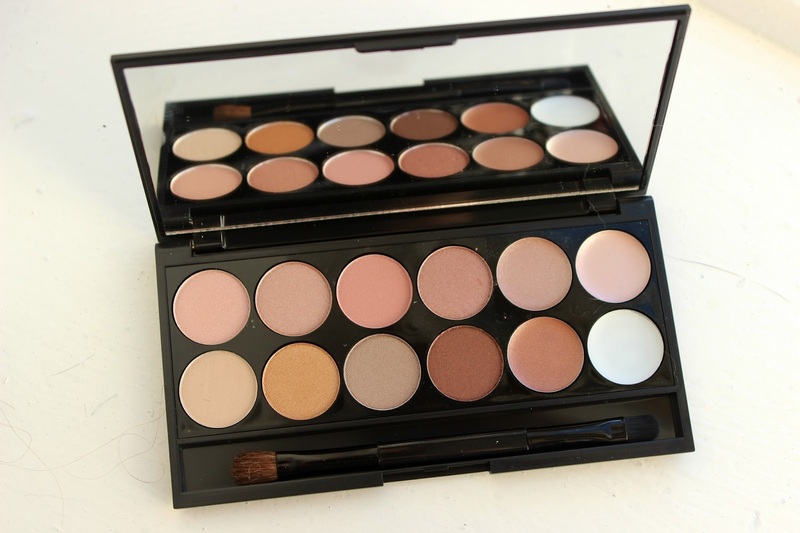 Easy on the Eyes palettes in Birthday Suit & The Big Smoke, £7.99 each. 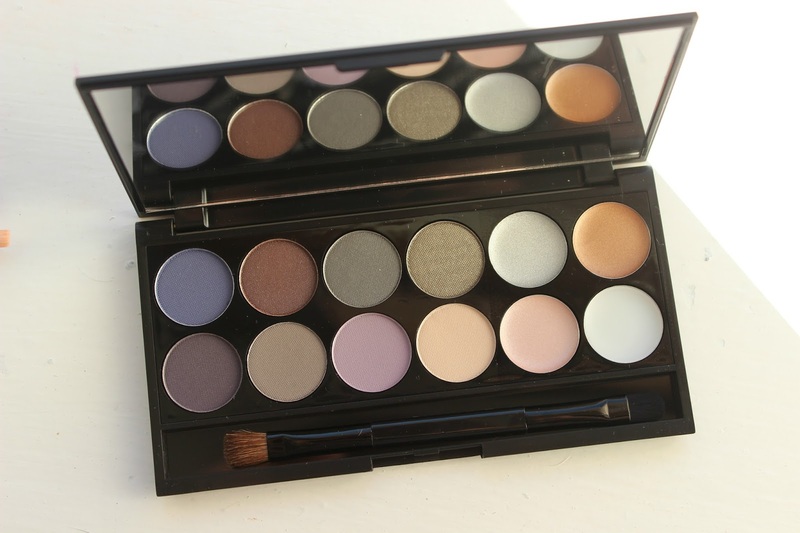 These two palettes are absolutely beautiful, and you could produce so many looks with the mix of colours they contain. They're foolproof autumnal colours, with Birthday Suit consisting of 11 stunning neutral brown and gold shades perfect for daytime, and The Big Smoke being made up of a mix of smoky purples and khaki greens that would be ideal for the evening. 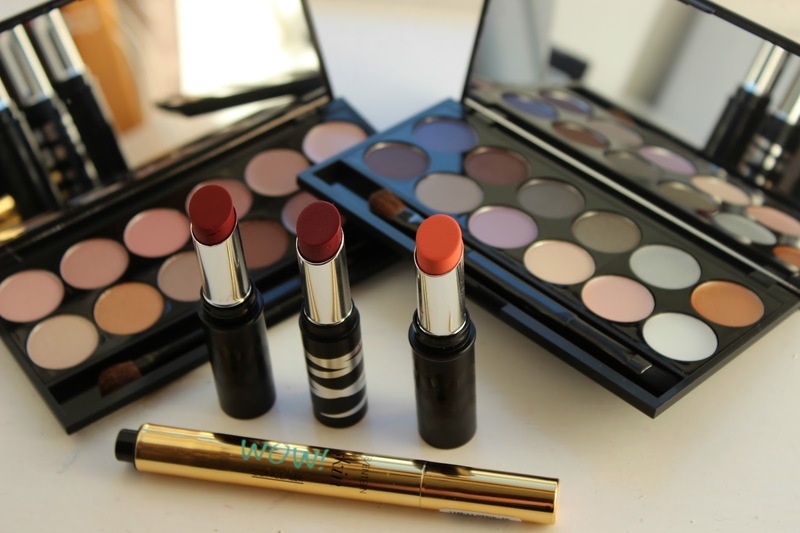 Each of these palettes contains 8 matte, shimmer and pearl powders, 3 metallic cream colours and an eye primer. The eyeshadows are really soft and pigmented, and the shimmer is the perfect amount - you're not going to end up looking like a 5 year old who got creative with some glitter glue. 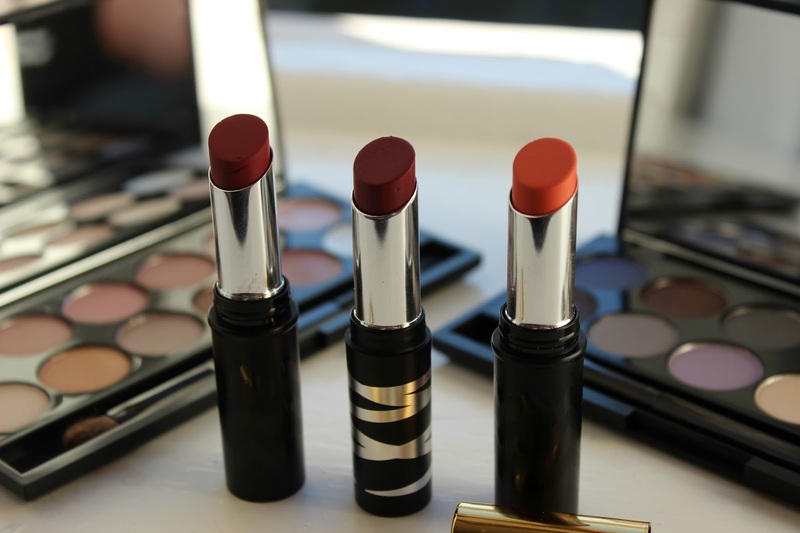 I love the mix of textures and finishes; the cream products would make great bases for the powders. Having an eye primer included is also a fantastic idea, and you also get a dual ended brush with each kit. Plus the mirror is brilliant - a really good size for doing makeup on the go. Just because it's Autumn doesn't mean we can't highlight our faces to the Gods. In fact, this radiant little baby is going to be perfect for brightening up my face on one of those cold, dark mornings when I'm begging for "just five more minutes" of sleep. If you're like me, it doesn't matter how many hours you spend tucked up under your duvet, you still wake up with under-eye bags dark enough to pass as a zombie. This promises to banish them to the past. I have tried this out on my makeup-free face (I didn't want to submit you to that horror so there's no pictures!) and I'm impressed. I have the shade Fair and this is a pretty good fit. 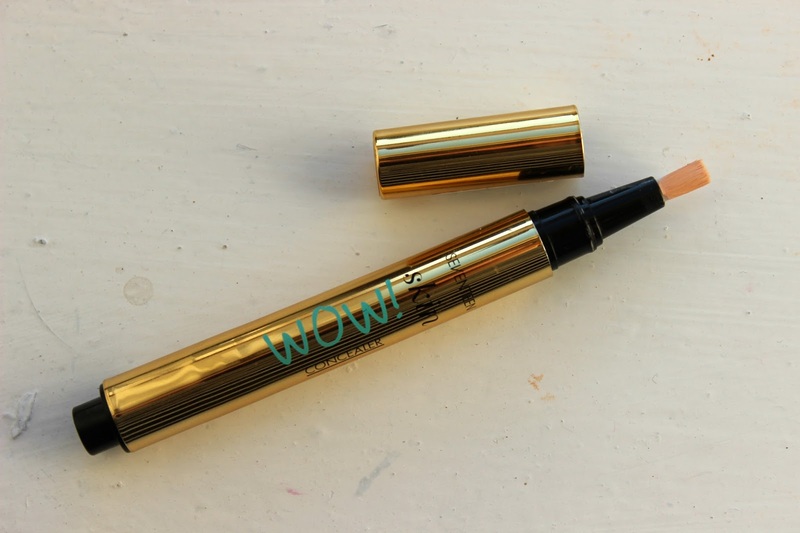 It's definitely a highlighting concealer, so don't be expecting this to cover your blemishes, but it works really well under the eyes, on the browbone, on the cheekbones or above your cupid's bow. I'm also considering using this as an eyeshadow base with some of the gold colours from the Birthday Suit palette - I'll let you know how it goes! For me, by far the most exciting part of Autumn makeup is getting to crack out the darker shades of lipstick. I find that because of my red undertones I struggle to pull off the bright summer colours, but them deep dark reds are the love of my life. So I was pretty bloody pleased to receive these guys! 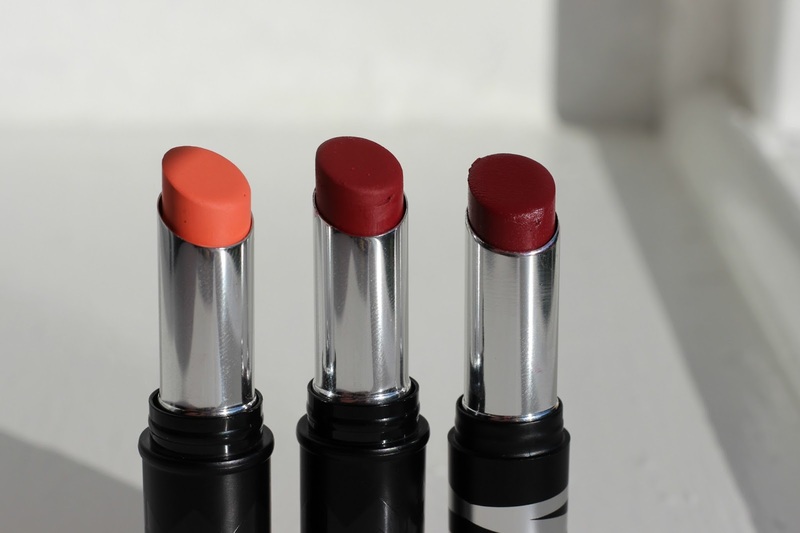 Like everyone else, I'm a massive fan of matte lipsticks. I hate the feeling of stickiness that you sometimes get with lip products, so a matte finish is the one for me. 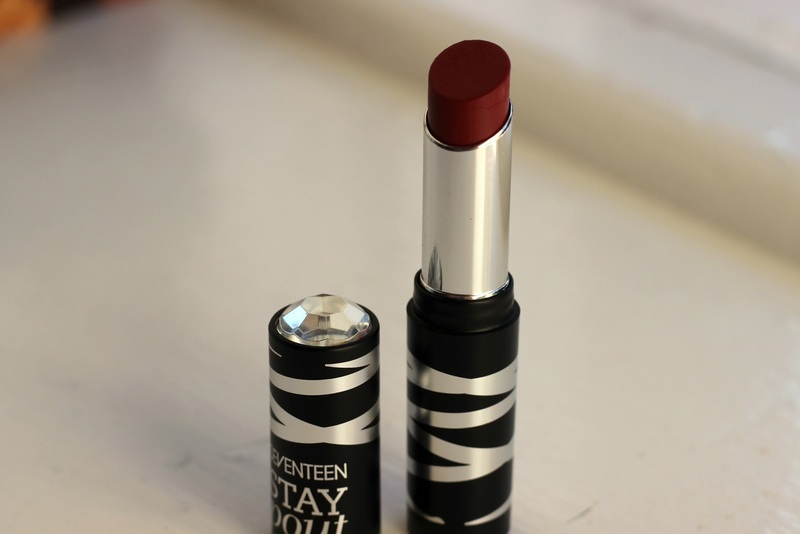 These Mega Matte lipsticks are new to Seventeen, part of a collection of 12 shades that they claim last up to 13 hours. I've tried both of these out since they arrived yesterday, and I'm really impressed. They feel like there's nothing on the lip, and they really do last a long time. For me, the shape of the lipstick isn't the easiest to use, so I'd probably recommend a lip liner first or potentially even a lip brush. It's worth it though; these are extremely pigmented, opaque and not at all drying. How has Seventeen managed this witchcraft?! Rioja Your World is beautiful, a deep blue-toned dark red that makes me feel like a 1950s movie star. 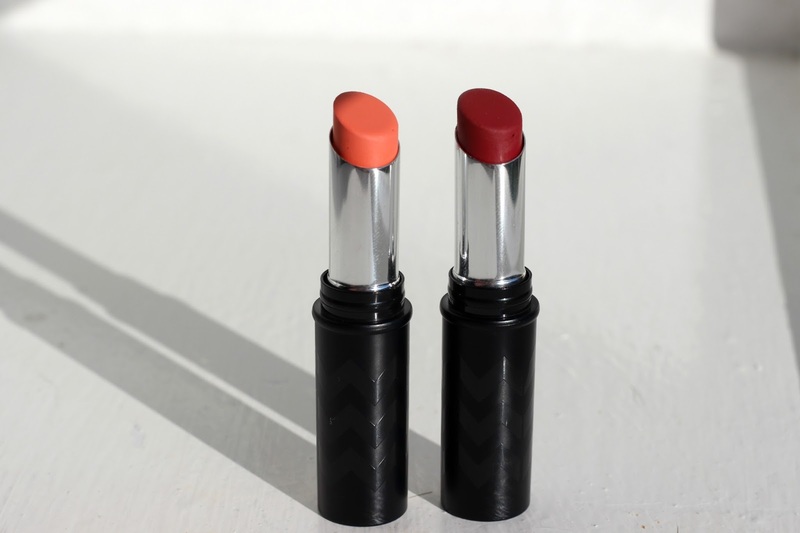 Orange You Gorgeous is a slightly trickier shade with my skin tone as it's a peachy-coral toned orange, but I'm going to give this a bash with minimal makeup and lots of mascara. The collection has a great selection of vivid, statement colours, and for £4.49 each I think these are an absolute steal. 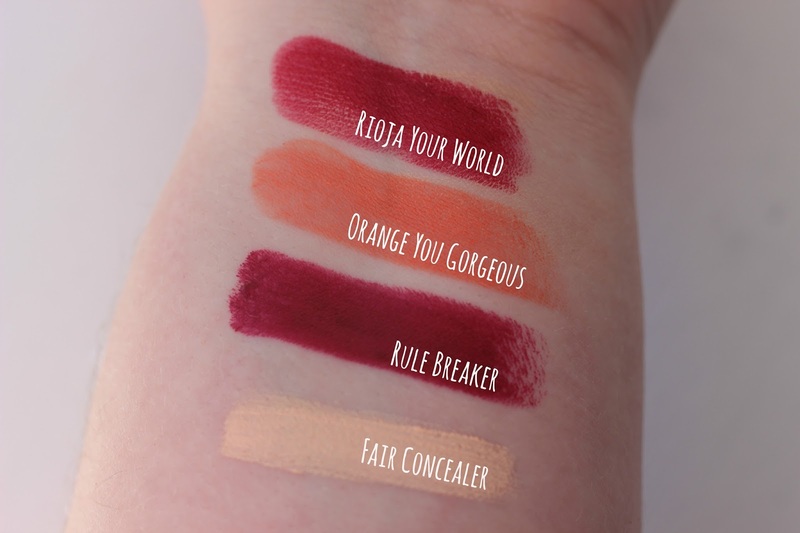 The Stay Pout range has 15 wearable shades and a longwear formula that claims to last hours and be kiss proof. Don't worry though, this long lasting lipstick won't dry your lips out as it's got loads of shea butter in to keep them soft and conditioned. I actually really like this formula; it's got a slightly glossy feeling but there's only a very slight sheen on the lips and it's not sticky at all. It's very comfortable to wear and although it did transfer slightly to my glass when I had a drink, it was minimal, so the staying power seems good. Next to each other, Rioja Your World and Rule Breaker look almost identical, but as you can see from the swatches below this is a slightly deeper, darker, more purple-toned berry colour. I love it. This absolutely screams Autumn to me and I have a feeling it'll be a staple. Overall I'm really impressed with the Seventeen products I received, and I'm really looking forward to creating some seasonal looks with them. Is there anything here you'd want to try, or anything from Seventeen you think I need to get my hands on? Let me know! 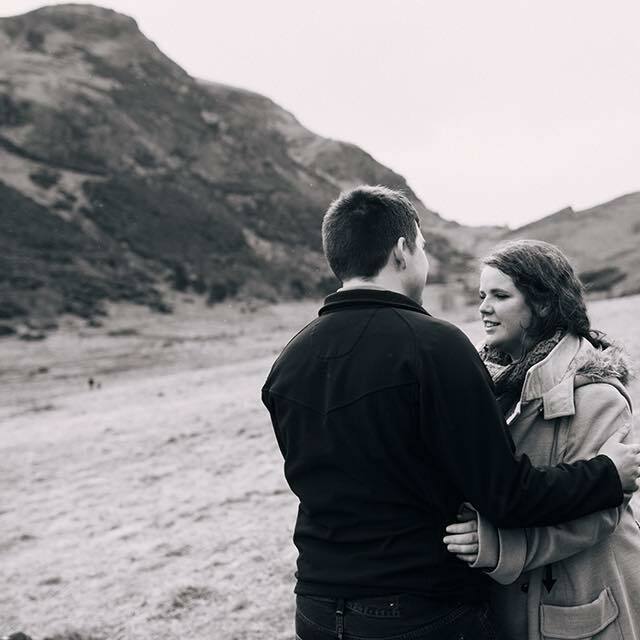 Catch up with all my Blogtober posts here! *I was generously gifted these products by Seventeen, but all of the opinions expressed are my own. 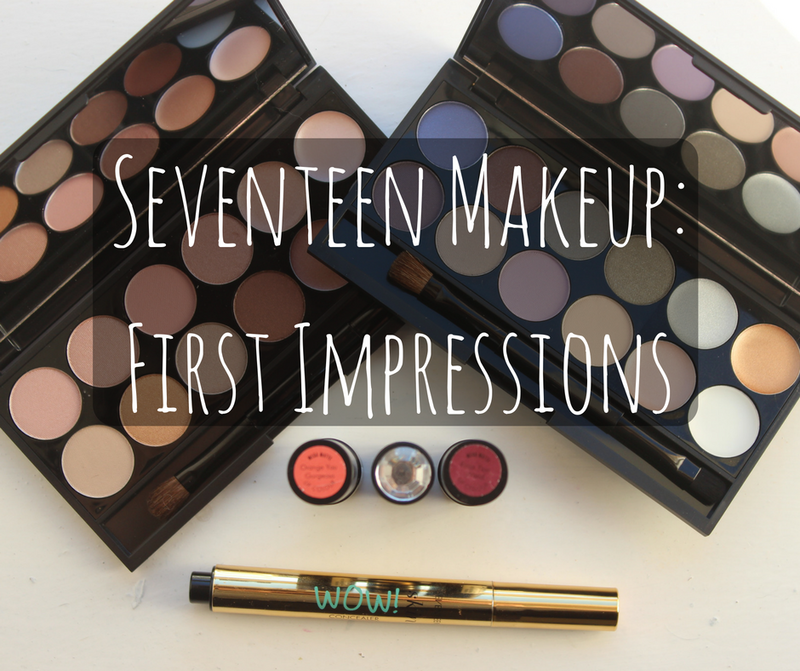 I don't think I've tried Seventeen makeup since I was actually seventeen, but clearly they've upped their game and I need to try out some of their new stuff! I LOVE the look of Rioja Your World, and I'm a sucker for a pun.